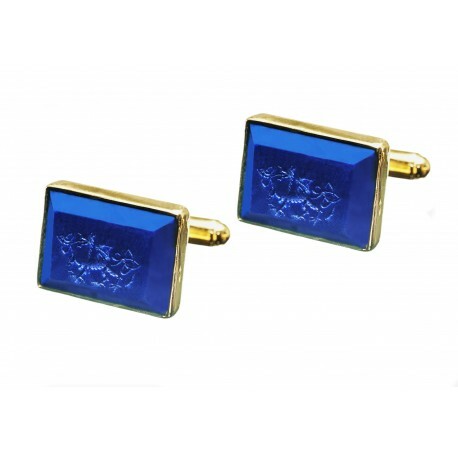 These Welsh Dragon cufflinks are handmade and engraved intaglio to lapis lazuli. The superb Welsh motif features amazing curly tails and tongues which have been exquisitely engraved. 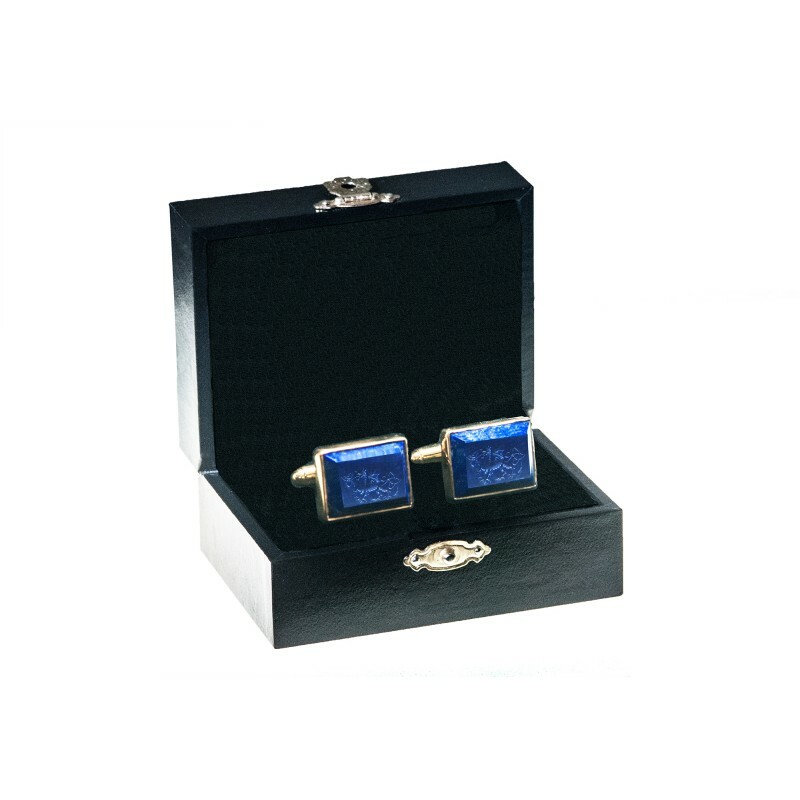 Hand crafted rectangle cufflinks of lapis lazuli. 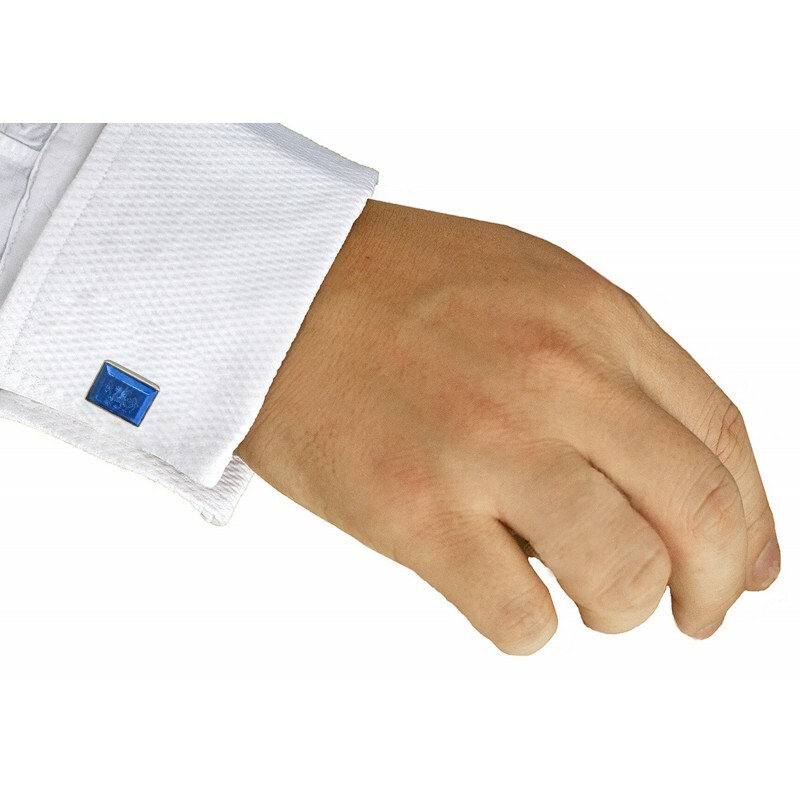 They are mounted to gold plated sterling silver easy-fit swivel attachments. 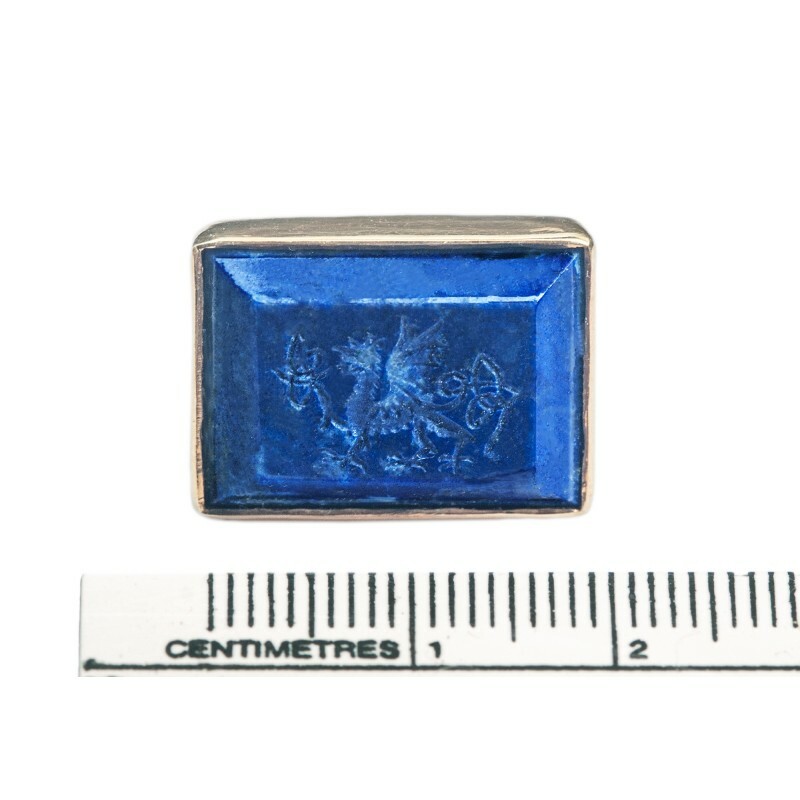 The rectangles measures 18 x 13 mm (11/16 x 33/64 inch) and have been engraved by hand with Welsh Dragons. That's why these high quality handmade Welsh Dragon cufflinks are so affordable.